Today I am excited to share with you a cute and fun to make fleece lap quilt pattern and tutorial. 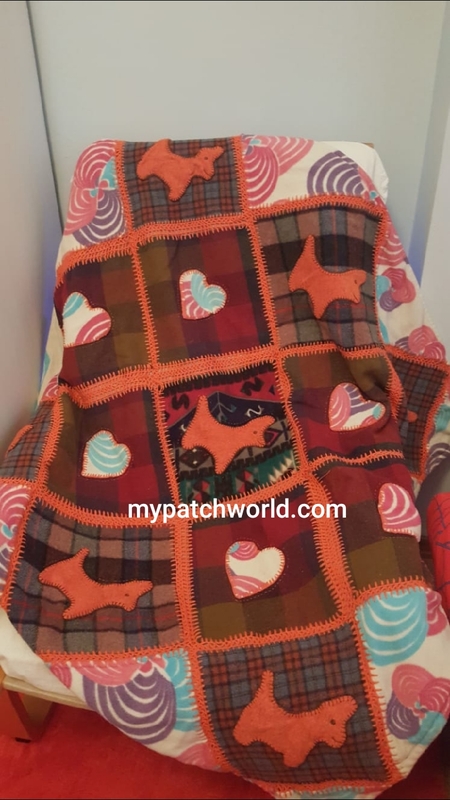 I made this lap quilt using my fleece fabric scraps. 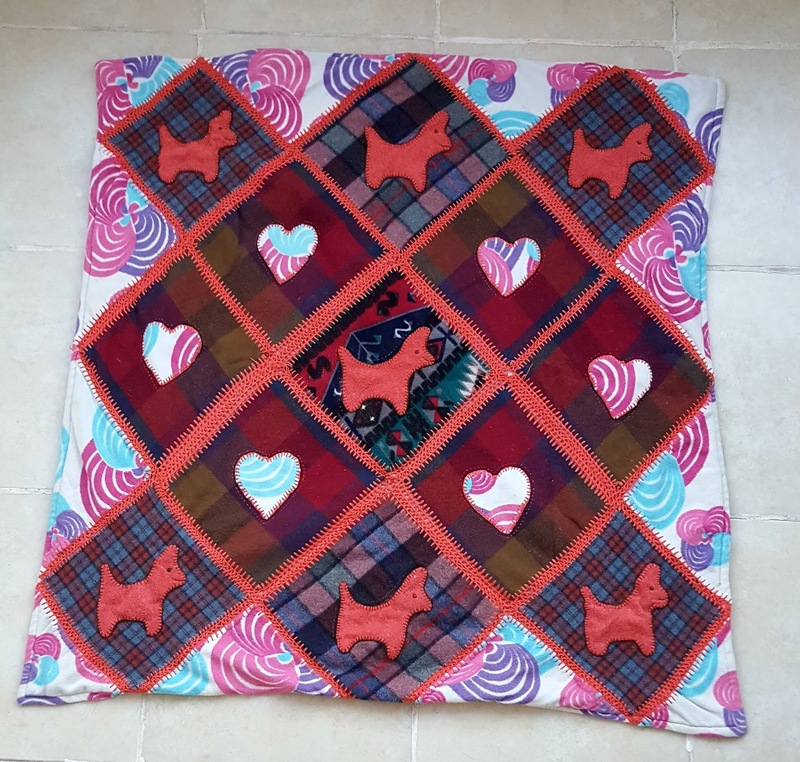 I made this lap quilt years ago and it is so useful and keeps warm while we are lying on the coach watching Tv. 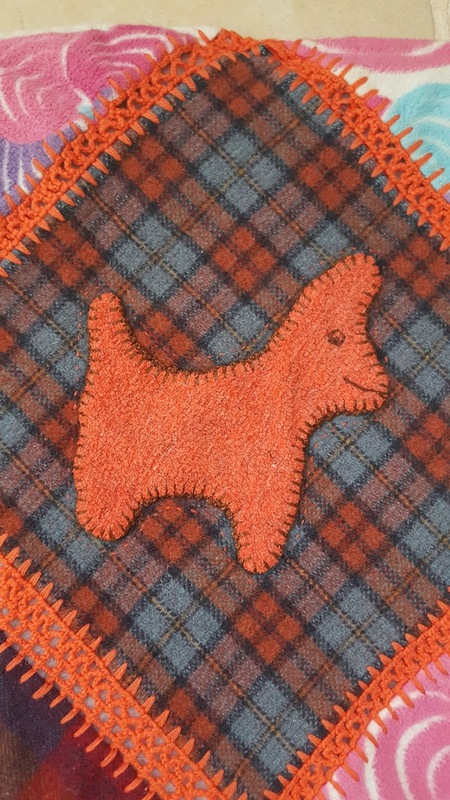 What especially I like about this quilt is the donkey appliques. So here is how I made it. I hope it inspires you, too to make a fleece quilt. 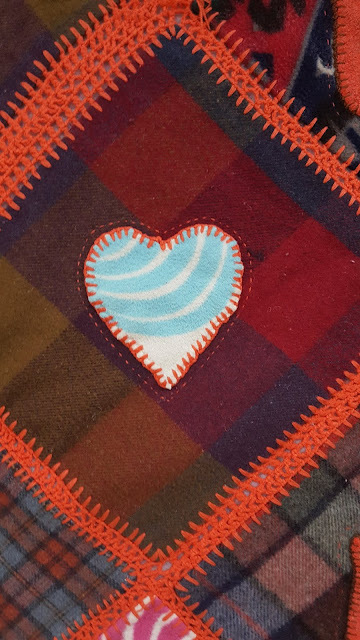 I cut the fleece fabric into squares measuring 10"x10". 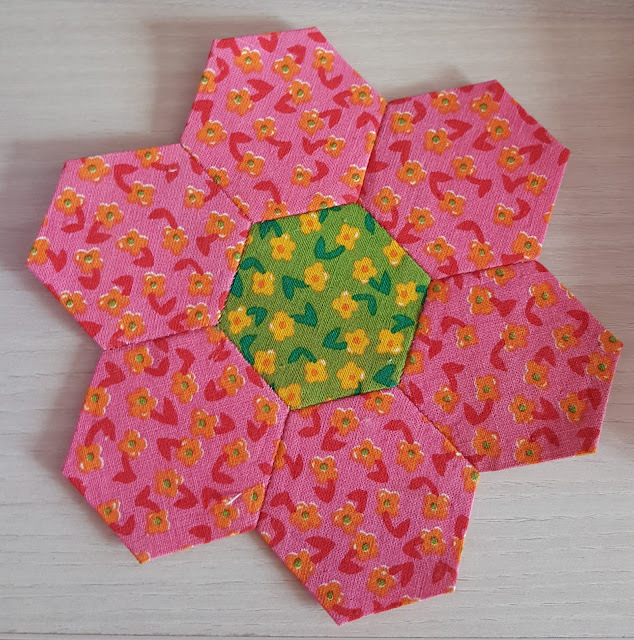 There are 13 squares and 12 HSTs at the sides. I placed the squares making diamond pattern. 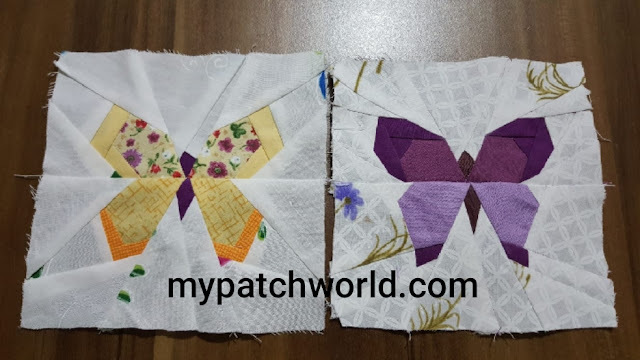 I did not sew the squares together but did some crochet work to put them together. I used the orange color for crochet, same with the donkeys. 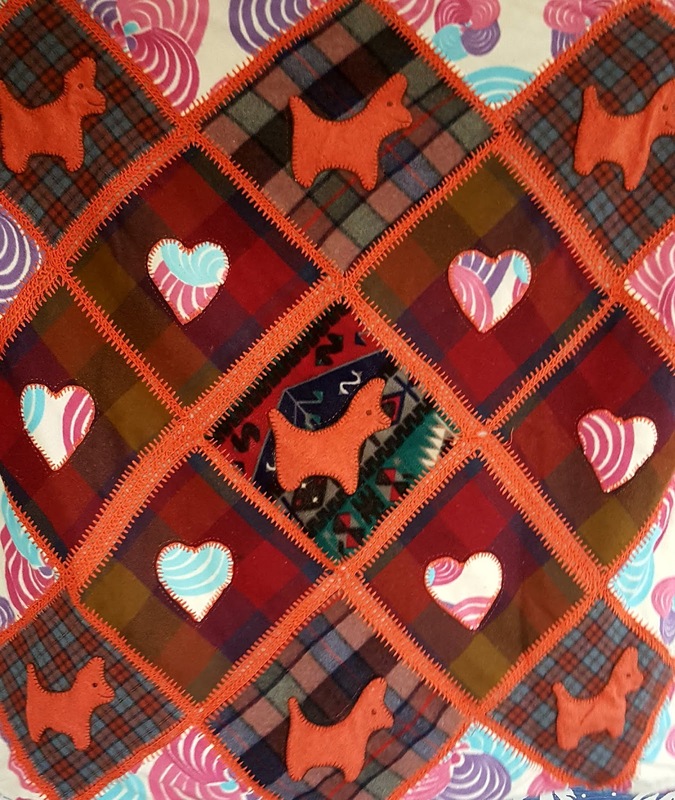 Once the lap quilt come together I drew a donkey and heart which are easy and simple shapes to draw. You can draw your donkey also, or it can be a cat or a dog. I did some crochet work around the heart and donkey patterns. It was easy because fleece wont fray. Then I appliqued them to the fabric. I added ordinary fabric for the backing and it is complete! I know that it is not perfect but I used all my fleece stash and the quilt is quite useful for me ( not in summer time of course).